Prefer a Hardtop convertible car for the best of both worlds in your driving experience? How about this 2014 Chrysler 200 Convertible. With seating for 4 this Convertible can fit the driver and 3 passengers... a typical family of four. Two doors gives the 200 Convertible a streamlined appearance that shouts fun. Make this mid-priced Hardtop convertible car yours. Prices start at $34,935. If you like the 200 Convertible, check out current (and previous) convertibles manufactured by Chrysler. 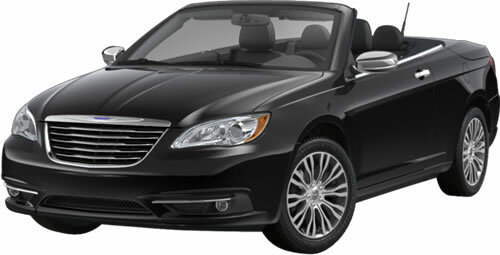 Looking for cars similar to the Chrysler 200 Convertible? You must like the smooth and quiet ride only a hardtop can offer.